As the Lee County Board of Education and the Lee County Board of Commissioners embark on their next 11 weeks of budget deliberations I find it necessary to share some relevant facts about local public school financing they would do well to consider. These facts certainly have caught my notice, and I hope they weigh prominently in considering how much more can be spent in pursuit of educating our children. In Lee County, our children have benefited from a substantial increase in local school spending the past eight years. State and federal spending have wavered over that period, but local spending has off-set those cuts. For eight straight years, total Lee County taxpayer spending on K-12 public schools has risen. The total increase is more than $10,821,000, which represents an average annual increase of over 10% per year. Not even health care costs have risen that rapidly! During that period, our school population has risen only slighty, meaning our local spending per pupil has risen sharply. For every new dollar of tax or fee revenues generated by or brought into Lee County these past eight years, 88 cents have gone towards K-12 education. That means that the Sheriff’s Department and Jail, the Library, our Parks, our Enrichment Center, our Health Department, our Social Services and all other county offices have had to survive on less than a 1% annual increase in operating funds each year. Over the past two years alone the Lee County government has had to cut 10% of its workforce, while public education saw little change. Budget shortfalls threaten to cut another 10% from county offices this year. Let’s not be tricked by the many passionate education ‘pep rallies’ and emotional letters pleading for the county not to “ruin the lives of our children.” Most of this is staged and promulgated for the sole purpose of perpetuating the status quo in our schools. Most of the rabble rousers have a vested financial interest in spending more money on schools. They are not beyond scaring the children under their care (and their children’s parents) into writing supportive emails and letters to elected officials so they can save their jobs and programs. 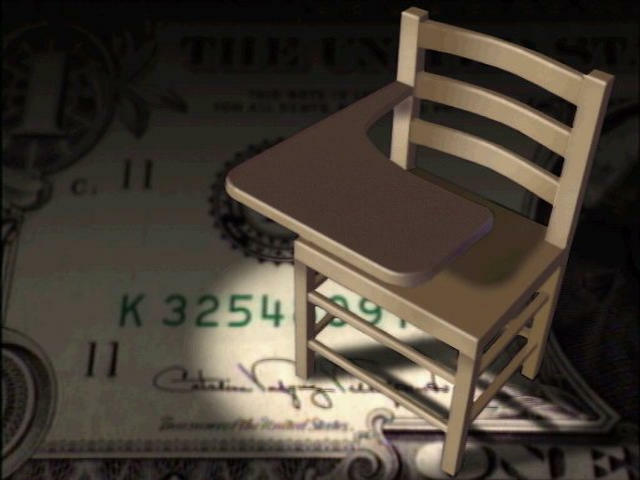 It is a rare occasion when these school officials send up suggestions about how to save tax dollars through school efficiency measures or intelligent cut-backs in low value-added services. Prior to departing on their $12,000 education retreat to San Francisco, our concerned Superintendent and School Board officials made it clear they will be expecting somewhere between $4M and $9M more in local funding for the schools next year. You haven’t heard them talk about the myriad opportunities to re-organize how they operate the schools, how they can achieve efficiency through reduced central office or support staffing, or where they need help in getting relief from costly state-mandated school activites. The truth is, our schools can be run effectively at or even below the levels of local capital and operational funding we had to expense for this current fiscal year. It would be inexcusable for the county to provde one cent more. Time for the troops to hold our own “rally for the truth”. Who’s with me and can help get it done? I’m with you Patrick. Good idea. I’ll bet quite a few of our founding father compatriots will be there.